15th April, 16 (Lahore) The agriculture sector lacks financial resources, due to which small-scale farmers are facing a lot of problems, consequently affecting the agriculture and livestock sector. But in Muslim countries including Pakistan, the primary reason behind the lack of financial inclusion in the agricultural sector is unavailability of such financial products that are in correlation with the religious and social belief of the Muslims and if we want to promote agriculture and livestock then we have to introduce such financial products which are in accordance with their religious beliefs, therefore, the use of Islamic Agriculture Finance is necessary for the development of rural economy especially in Muslim majority countries. These thoughts were expressed by Mr. Muhammad Zubair Mughal, the Chief Executive Officer of Al Huda Center of Islamic Banking and Economics in a seminar in Expo Center Lahore, Pakistan which is organized by US-Pakistan Partnership for Agricultural market Development (AMD) – USAID. He said, we can retrieve ideal Islamic agricultural finance products from Islamic Banking and Finance industry, by utilization of those products we can bring revolution in the agriculture sectors, these products will not only boost the rural economy but also can enhance the agricultural business; expand the livestock industry, generate employment, education & health facilities for the farmers etc. The people who are financially excluded and don't use conventional financing system because of interest and other religious reasons, will also start using agricultural finances, therefore, we can say that Islamic Agricultural finance can be utilized as tool of financial inclusion for the development of rural economies. Further, he said that in some countries it is seen that people of rural areas are more sensitive to interest related issues, and so the agriculture sector suffers the most. But in countries where Islamic Financial products are available for agriculture industry, there the use of financial instruments is higher as compared to other nations. 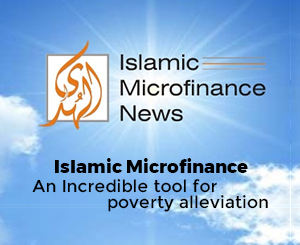 If we study the Islamic Financial products in detail, we can observe that the financial needs of the farmers can be fully catered by utilization of them, one of the best examples is the use of "Salam" product in Islamic banking. 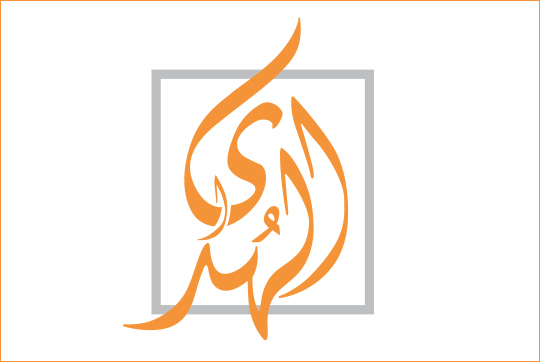 He further added that Accounting & Auditing Organization of Islamic financial institutions (AAOIFI) also issued three(3) Sukuk structure Sukuk Al Muzara’s , Sukuk Al Musaqa’a, Sukuk Al Mugarasa’s which can be utilized for Sharecropping, Irrigation and Orchid Financing respectively for the corporate farming. Meanwhile many other Islamic Financing instrument are available which can be utilized for agricultural purposes, such as, “Murabaha” can be utilize for Purchase of seed, fertilizer, harvesting and planting equipments, agri. Inputs, tractor, pesticides, farming goods, Solar Tube-wells etc, while “Salam” is ideal product for Agricultural Financing, through which a farmer can fulfill all the financial needs of the crop circle e.g. liquidity, seed, pesticide, fertilizer, harvesting, irrigation, market linkages, Istisna may by utilize for small manufacturing Business, dairy or Agri. production, Construction of warehouse and cold storage, Rural entrepreneur Development, while “ Ijara” is good for Leasing of Tractors, Agri. Equipment, Threshers, Tub wells, small production unit lease, Sugarcane planter, Rice planter, harvesting vehicles etc, Meanwhile, Farmer can utilize Musharaka, Mudaraba & Diminishing Musharaka for Rural housing, forest development, agri. Inputs, farming, sprinkler/drip/solar pumps, tube wells, Microenterprise & SME’S setup’s, Agricultural Joint venture projects, Dairy and livestock development etc.